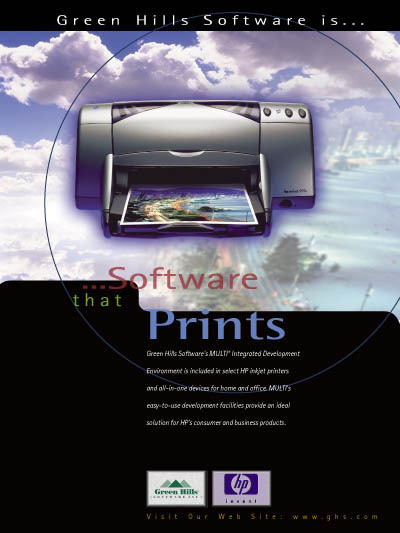 Green Hills Software's MULTI IDE integrated development environment is included in select HP inkjet printers and all-in-one devices for home and office. MULTI's easy-to-use development facilities, coupled with ThreadX's small size, fast response, and low cost provide an ideal solution for HP's consumer and business products. "We selected the MULTI IDE because the solution supports multiple CPUs and host environments. Additionally, the MULTI IDE provides advanced debug capabilities that greatly simplify the development process."